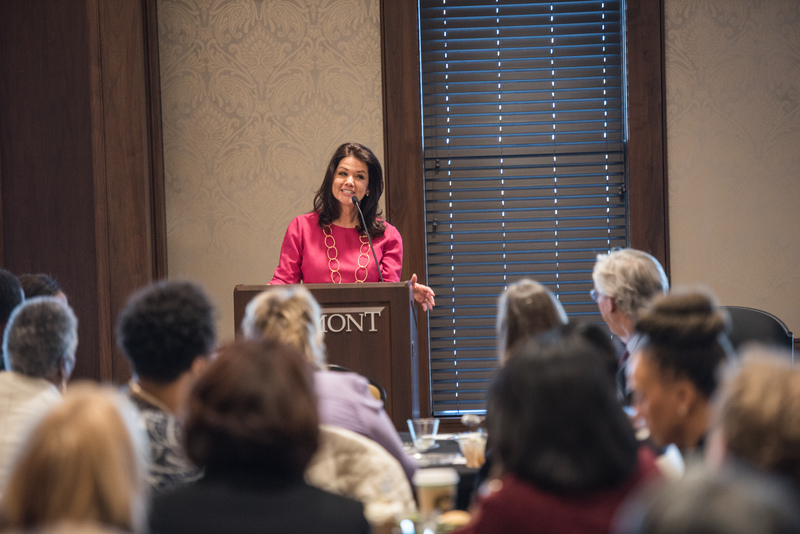 Belmont hosted Legacy Maker’s “The Power of WE,” a women entrepreneurs luncheon, on March 2 and welcomed Sherry Deutschmann, founder and CEO of LetterLogic, to deliver the event’s keynote address. Focused on investing in their people, LetterLogic has become one of the most successful companies in their industry and has been on the Inc. 5000 list of fastest-growing private companies for the past nine years. With more than 100 people in attendance, Nashville Airport Authority President and CEO Rob Wigington offered greetings by describing the power of women in business and entrepreneurship, as well as what NAA is doing to embrace and celebrate diversity. With two filing cabinets, purchased from Goodwill, and an old door on top to form her first desk, Deutschmann launched LetterLogic in her home basement and went to work. Years later, she is the proud founder and CEO of an almost $40 million company that employs more than 50 people with an “unorthodox business philosophy” that puts the employee first–even before the customer. that you can take really good care of your employees and still have a really good bottom line,” Deutschmann said. For her team, this means free healthcare coverage, a percentage of net profits bimonthly, the freedom to bring children and pets to work and assistance in buying their first home.